Recently, I made my usual trip to Wales to visit an old school friend, M. I tend to visit her before Christmas but with my overseas trip, I wasn’t able to make it until the new year. M and I have remained friends for over 30 years, despite our lives taking very different paths. I went to uni, she started working straight from college. While I was partying every weekend in my 20s, she got married at 24, settled down and had two children. She is now in her second marriage and has four children (in total). Her oldest son (my god son), is at university (fees paid by his dad). Her daughter has finished college and is currently working part-time; her other two boys are teenagers still at school. For income, she makes and sells jewellery online and at local trade fairs. Her husband works at a local car plant on the production line. Since the break up of her first marriage, I’ve always known M to struggle financially. She comes from a well-to-do family and still remains one of the most well travelled people that I personally know. Foreign holidays though are a thing of the past for her now. Of course, two more children to add to the two from the first marriage probably didn’t help. Neither did job redundancy. Her ex was in IT consultancy, so most likely earned more than her husband does. During my visits, I am usually a sounding block for her to talk about her financial (and personal) woes, about how expensive household bills are, the expense of new uniforms for the kids. having to fix the house, no money to go on holiday,etc. I’m a good listener but I cannot help but feel that some of her woes were of her own making (of course, I do not say this). Take the latest visit. I turned up and noticed that her husband’s arm was in a cast – he’d had an operation on his wrist over a month back and was off work to recuperate. My first thought was that this meant that he was not able to work late shifts for overtime pay, which would mean a huge dent in their income. Anyway, as M was making me a cuppa in the kitchen, I overheard her mention to her husband that there was just enough in the bank to sort out the water bill and that they would have to defer payment on some other bill. Yes, it’s tough this time of year. However, I could not help but notice that they had two new cats since my last visit, one still a cute little kitten. This along with the two dogs they already own. Yes, I came to the conclusion a long time ago – my friend’s financial woes have been partly due to her many pets being a priority in her life and eating her out of house and home! Pets are not cheap. Food, litter (in the case of cats) and vets bills. It all adds up. Over the last 12-15 years, I’ve always known M to have lots of pets and along with her many children, I’m not surprised she’s always struggling with money. There was one occasion a few years back when I had to really bite my tongue when she was complaining that she hadn’t bought the kids any treats to eat as they couldn’t afford it and I wanted to ask her if it was more important to feed the kids or feed the pets? No, I didn’t mean that the pets should go without food, I meant that perhaps she shouldn’t have so many pets so that she could reduce costs and feed her children properly. I understand people wanting pets as part of the family but I did wonder at the wisdom of having two dogs and two cats while struggling with feeding the family? When the children were younger, I recall there being guinea pigs too…her house was a real menagerie! But no, pets in the family are obviously a priority for her. We had pets when we were growing up – dog, cats, hamsters and rabbits – I recall that most of my pocket money was spent on pet food/bedding etc. Since I left home and started working full-time, I’ve not felt like I’ve needed a furry friend at home, although it’s possible that I may change my mind when I stop working. The last pet I had was a goldfish when I was at uni! Living in a large tank by itself, it grew to quite monstrous proportions and survived a trip on the train in a plastic bag of water (when I moved back home!) and lived for nearly 9 years. I didn’t buy another and donated the tank and equipment to charity. Anyway, M has never asked me for financial advice and I have never offered it – I’m not sure it would be welcome and I don’t think I would feel ok about telling her what she should do, as it’s quite clear to me what she needs to do to get her finances in order. I think if she blurted out that she didn’t know what to do, then I would roll up my sleeves and start drawing out a plan for her! We’re not there yet – I’m not sure we ever will be but I’m there for her if she ever wants my help and advice. But what if she’s too proud to ask? I sometimes feel like I’m being a bad friend for not giving advice but if I give it and it’s not wanted, that could be detrimental to our friendship, so I just feel like I should tread cautiously. As for how I’m doing financially? I don’t mention anything (so definitely no talk of FI/early retirement!) and she doesn’t ask – I think she hears about me going on my holidays every year, not complaining about my finances and thinks I must be loaded and live the life of Riley! We’re just living our lives very differently. We have a cat pet at home and we love her. While having a pet is great and all I definitely agree with you. If you've having problem making ends meet you shouldn't have extra expenses like pets. Maybe buy her a personal finance book as a gift so her and her husband could learn a thing or two? I know someone in an almost identical situation – perpetually broke while their house resembles a fully stocked zoo. I also have some other friends that bought a dog recently. They're now spending £250 a MONTH on a dog walker to come in while they're out at work. Thats £3k a year before food and vets bills! Thank you for sharing that. I can absolutely relate to what you're saying. I have a similar situation with my immediate family. My sister has three children they're 1,3 and 6, she's a single mum, 30 years years old, she has a dog and a cat. She works part time as a veterinary nurse, and the ex pays his keep. She adores animals and growing up she's always wanted to work with them. We had dogs, cats, giant snails, hamsters, guinea pigs, rabbits, and fish at different points. She is struggling financially, but it is her own making. As it is your friends M, as it is mine and yours. What we have in life right now is down to the way we've lived our life. Luck plays such a small part in the long run (I'm not saying it doesn't exist – inheritance etc), but it's a lot less significant than most people feel. Anyone can learn to be good with money and have abundance (especially if I can!). It's ultimately up to them to make those steps. I have an underlying need to help people. It's really difficult to watch my sister and not interject. However, she's a strong minded women, and she won't be told what to do. It's worth noting, she's had 3 x cars (on finance) in 3 years, she has sky TV. She shops at the local 'whole foods' store because it's healthier and more ethical. Who am I to argue! These are her decisions and she must live with them. All I can do is talk about the things I'm doing, and when she mentions a problem, I'll suggest how I've overcome it and if she needs help to ask me. Then it's over to her. I certainly don't 'tell' anyone what to do. I just share what I do in passing and offer to help with taking the same path. Be the change you want to see in others. Don't 'tell' them but 'show' them how to do it, and they'll be more motivated to ask. I don't know your friend M, but I believe if that if she were desperate enough for help she would reach out. As long as she's aware that you can help her that's all you can do. I wish all the very best for you and M. Thank you again fr sharing the story. It's a very interesting topic. Sorry for the long comment too! I'm with you UTMT. Would love a dog, grew up with them. But while working it's so expensive. These situations are hard. I have family members who could use a full-blown financial intervention. With friends, I agree that you should probably wait until asked to give advice. With my family, the hubby keeps pushing me to intervene. The problem with offering any type of advice, however, is that it's worthless unless the person is actually going to use it. 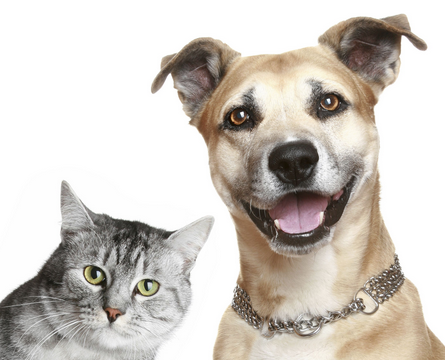 On the pet issue – we have a "debt emergency" but still enjoy our couple of animals. The kids love their doggy and chasing the cat around. But, we did recently "downsize" by giving away one of our cats. He just sat in a corner, hissed at the kids, and starting peeing all over the place. We did a cost-benefit analysis and determined that he was not adding anything to our lives. That's it, I'm not against pets at home but costs need to be managed. I'm not sure that she would appreciate the finance book. After that time about her kids not having treats, I always bring gifts that are edible, ie chocolates and they are always popular! Yes, it sounds like your sister is in a similar situation. My friend M doesn't have the cars but she was one of the first people I knew to have an ipad when they first came out and she has sky TV too. I just don't feel that I can say anything to her. However, perhaps instead of saying nothing, I will do what you do and actually talk about what I'm doing. Perhaps I do need to mention that I'm planning on attaining FI and just see what she says. This could prompt her to ask for help if she does really need it or at think about things herself. Giant snails eh? My most unusual pets were crayfish! Thanks for sharing your story and the advice. £250 a month is insane but what a great job for that dog walker – that must make a great side hustle! Like you, I'm not home for periods long enough to enjoy a pet – not sure if I'd go for a dog or a cat as I like both but I'm likely to have at least one of them when I stop working full time. Hi Mr Z, yes, our lives have definitely taken different paths. I'm there for her if she needs my help but as Huw says, perhaps I will just mention what I'm doing to see if it's something that she interests her. Yes, advice is only good if it's acted upon – taking that first step is the hardest, so if my friend needs to get over a hurdle, I want to be there for her to help. Your downsizing is exactly what she needs to do. I'm sure it wasn't an easy decision for you to give away your cat (even though he was hissing at the kids!) but it's obviously the right decision. Intervening in the finances (and giving financial advice) to those close to us – in my case family – is very close to my heart at the moment as my parents, who are in their 80's, have just this week confessed a £12,000 credit card debt. I'm still reeling and unsure what to do, and even worse, unsure what they want me to do. Very tricky. We own one very happy Jack Russell who is dearly loved. The walking does us all good and he brings more to our lives than he could ever cost. It works for us but owning a pet (or pets) has to be taken in context with the rest of what is happening in life. It sounds like your friend hasn't quite got the balance right. Hi Cerridwen, oh wow – sorry to hear about that bombshell that's been dropped on you, it must have been a total shock! Sounds like you need a plan quick to help them reduce that debt. At least it's out now, you know about it and something can be done about it. I can only imagine how worried they've been about it to have hidden it from you. However, I hope the onus isn't solely on you to help them sort it all out. Yes, you're right, pets do bring great joy to many households but my friend hasn't got the balance right at all. > But what if she's too proud to ask? then the message would fall on deaf ears anyway. BTDT, though not on the financial front. Sometimes we are all full of the sturm und drang of how to do things, there is one true way. In the noise the faint signals that there are other worlds get lost. Only when the original edifice has collapsed, and there is no getting round it is there enough stillness within that the message of change can be heard, and then acted upon. Thanks for a very philosophical answer! I think in my friend's case, the pets and children are drowning out the stillness! I'd just like to point out, that I'm not the 'M' in question! Hear you on this story Weenie. It's really really tough to have to bite your tongue continuously when people are there wasting money on things they literally don't need, could do without, could get rid of, or could change easily. If you remember, it was because of a conversation at work that I started thinking about the Understanding Money series. My sister is the same. She says they run out of money before the end of every month, and yet she used to order her groceries from Ocado!!!!!! My brain nearly imploded when I heard that! I hear what you're saying about your colleague – of course, each to their own if they want to spend money on their food like that and can afford it. I've been taking my own lunch into work for a few years now, even though we have a good restaurant provided by work. It's subsidised but still not cheap, plus the chips always tempt me so I avoid it, haha! Thanks for sharing the info on your sister – it must be quite frustrating for you! I know a few people like this too, struggle with money but have a house full of pets. They forget the costs they incur and even go without food so their pet can be fed. Its a difficult one as some see this as part of family life and something the grew up with and cannot picture a family unit as complete without one. The only issue is how to financially cope supporting one (or more) pet(s). Funny..As I look at my FI days I was thinking the same thing – I would like a dog and maybe becoming a side hustle dog walker is the thing to do when I get there. I am accounting for a pet in my FI days expenses..as UTMT says having a dog can't happen until I reach FI and not working full time.